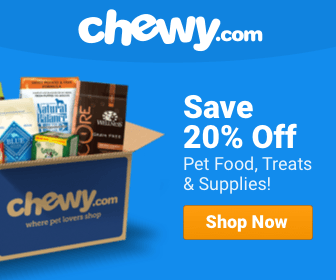 What is the Best Dog Food for Shar Peis? These little wrinkly balls of fur are hard not to love. I mean they’re a Hallmark card staple. They’re just cute as heck. However, they’re also prone to a bit of weight gain, so it’s important to stay on top of their diet. 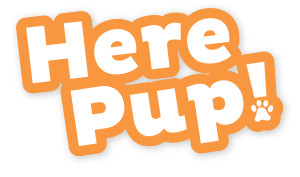 In this article, we’re going to talk about the best dog food for Shar Pei, along with some things to watch out for in order to keep them healthy. Let’s get into it my friends! What's the Recommended Calorie Intake for Shar Peis? The Shar Pei is known as a larger dog than a lot of the rest. It’s taller and thicker. Therefore, it needs a higher caloric intake than most breeds. However, it also needs to eat natural food to keep from unhealthy weight gain. The average weight of these dogs is about 55 pounds so we’re going to use that as a base for discussing the caloric intake. However, if your dog is heavier or lighter, you can adjust the intake accordingly. We’re going to discuss three types of energy levels. Although the Shar Pei is mostly a calm dog, it’s best to look at what a low activity dog should eat, along with a moderately active dog and a highly active dog. That being said, let’s get started. A low activity Shar Pei weighing around 55 pounds should take in about 1006 k/cal per day. A moderately active dog should be taking in about 1230 k/cal per day. And a highly active Shar Pei should be taking in about 1957 k/cal per day. However, this is very high, so you should make sure to gauge your dog’s activity level before feeding them that much as it can cause unhealthy weight gain. Here's another great video about the breed. The most interesting part to us is why they were bred to have all the wrinkles (we won’t spoil it for you)! Also, they are a bit high-maintenance. They require daily exercise (lots of calories), their wrinkles cause some health issues (which we’ll cover in a moment), and they are tough to groom. For now, let’s move into the next section! Like any breed, these dogs need their protein, however, too much protein with the Shar Pei have been known to cause some health issues. Since they are prone to weight gain, it’s good to keep them on a diet that contains mostly lean protein like fish or game protein. However, too much protein has been known to cause liver failure. Years of older breeding has caused a ton of health issues for the Shar Pei, and thus, has shortened their lifespan marginally. However, if you lower their fat intake and watch their calorie count, you can help add years to their life. Also, for this breed we want to talk about something we like to call “basic body building tools.” These “tools” consist of basic things to add to the Shar Pei diet to make sure they are developing properly. These will be: protein (which we talked about), carbohydrates, and fats. For starters, 50% of your dog’s diet should be made up of carbohydrates. If your dog does not get enough carbohydrates, it will start converting protein into carbohydrates. Also, fats should make up about 20% of your dog’s daily diet. Like we said before, Shar Pei were over bread for generations. Because of this, they have a ton of health issues. We’re going to go ahead and get into this massive list of issues. First, the breed suffers from Shar Pei fever (fitting, huh?). This is also known as swollen hock syndrome. This is when the hock joint swells and causes the Shar Pei to not want to move, and start to gain a fever. This can initially be treated with aspirin, but should be taken to the vet if conditions worsen. Hypothyroidism: This one is sort of a catch 22. The Shar Pei diet requires a good amount of carbohydrates, but this is also thought to contribute to hypothyroidism. If this happens and you’d like to try to tackle it naturally, you can try foods with more vitamins in them, but make sure you are clearing all of this with your vet. Elbow Dysplasia: Similar to hip dysplasia, this is common in a lot of dogs, and it’s also common with Shar Pei. There are various ways to keep them more comfortable during this process, but the best way to prevent it is to keep them at a healthy weight so the weight doesn’t force bones out of the socket. Seborrhea: This is a skin disease that is best treated with a special shampoo, but it can also be prevented by eating foods with plenty of fats in them. As we said earlier we recommend diets with about 20% fat per day. Gastric Torsion: This is also called bloat, and it can be very serious if left untreated. A good way to prevent this is to look for foods with plenty of fiber. Entropion: This is an infection of the eye when the eyelashes are forced inward because of excessive wrinkles (makes sense, huh?). There is no natural way to prevent this other than trying to minimize them with a good diet. Otherwise, if it happens, surgery can be done. Because dog’s stomachs aren’t fully developed as a puppy, and they cannot handle two large meals a day, it’s best to feed them 3-4 times per day at this point. Keep in mind that their diet should consist of 30% protein and 20% fat at this point. A typical mealtime schedule is 7AM, 5PM, and 10PM. They’re daily caloric intake should be somewhere around 470 k/cal per day, but make sure to gauge their activity level as well. With adults you can start feeding them 1 to 2 times per day, but we recommend feeding them at least two times per day. Some people recommend still feeding them 3-4 times a day to prevent bloat, because this is such a serious issue, we’re not against this. Just make sure you are still following the recommended daily caloric intake. 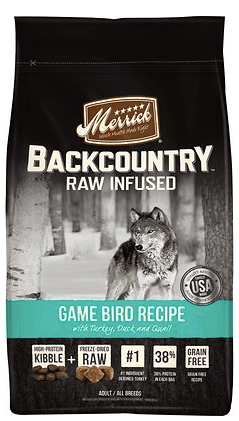 We’d definitely like to recommend the Merrick Backcountry Game Bird Recipe because it follows close to the daily protein, fat, and carbohydrate recommendations we gave. This food is packed with high amounts of carbohydrates and protein, and has a healthy amount of protein as well. It will help keep your dog lean to prevent weight gain, and it has fiber in it to help food pass through in a healthy way. It's also a favorite among the dogs. They love the taste of this gamey dish. Made from all natural ingredients, such as: vegetables, fruits, and meat. Made in the USA in organic certified kitchens. Adds moisture to the dog’s diet to help with flavor and digestion. Can cause unnatural bowels when first switched from another product. There are plenty of great products out there, but based on what we’ve researched, this is one of the best for this particular breed. If this doesn’t work for you, you can check out the other healthy alternatives we’ve included in this article! For now, enjoy your Shar Pei! Help Me Find the Best Dog Food For Vizslas!